Today am here with the review of another organic product. In my beauty journey of natural and organic products, I have across many brands and tried quite a few of them in past three years. Bon Organics is an organic brand for which I have heard a lot of positive reviews. So when they were having a 40% discount sale, I did a mini haul from them and picked some of their products – shampoo, aloe vera gels and this jasmine water. I have been wanting to try a jasmine hydrosol for a long time and got an opportunity now. So let’s review the Bon Organics Jasmine Water. Vegetable based organic contents only. Contains no harsh chemicals, no alcohol, no animal products or sulphates. Bon Organics Jasmine Water comes in a transparent plastic bottle with a spray packaging. However, the spray mechanism stopped working after a few uses and I had to open the cap and pour the water onto my hands every time. Maybe it just happened to be my bottle. But the packaging is very compact and will fit in your handbag easily without taking extra space. Bon Organics Jasmine Water looks and feels just like water. It has a heavenly fragrance of jasmine flowers. Since I love the scent of jasmines, it soothes and calms my mind. I like to carry this in my handbag to office and use it for the quick touch up that I do after lunch. I just spray some Bon Organics Jasmine Water on my face and use a tissue wipe it off. Then spray some more. This helps in cleansing as well as refreshing your face. Since it does slight cleansing as well as toning, refreshing, it is perfect to be used while you are traveling when you don’t have access to water. 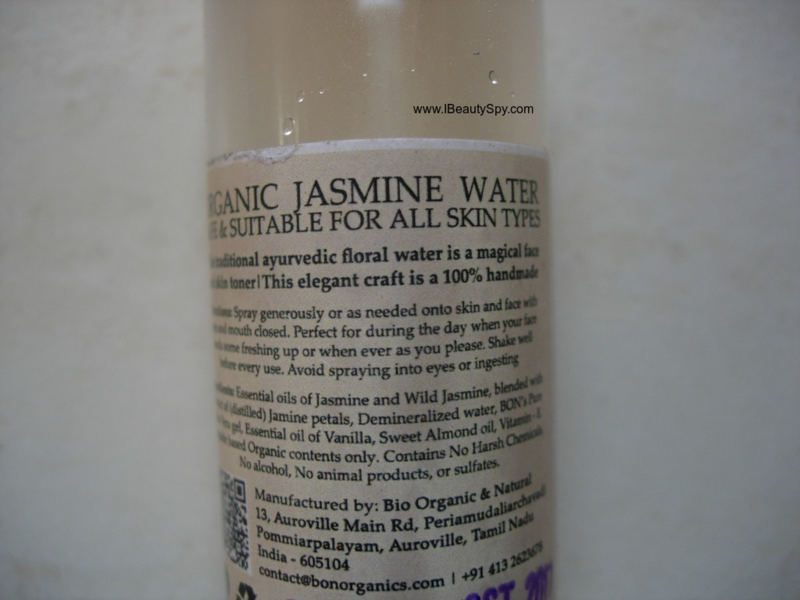 Bon Organics Jasmine Water hydrates the skin beautifully. It also soothes and calms irritated or sun-burnt skin. With regular use, it clears up the skin and gives a healthy glow. A small tip would be to follow up with a facial oil or moisturizer to seal in the goodness of the jasmine water. You can also use this jasmine water for 7 step toning process, a Korean practice. I haven’t noticed any effect on acne or anti-aging though. So those claims are false. 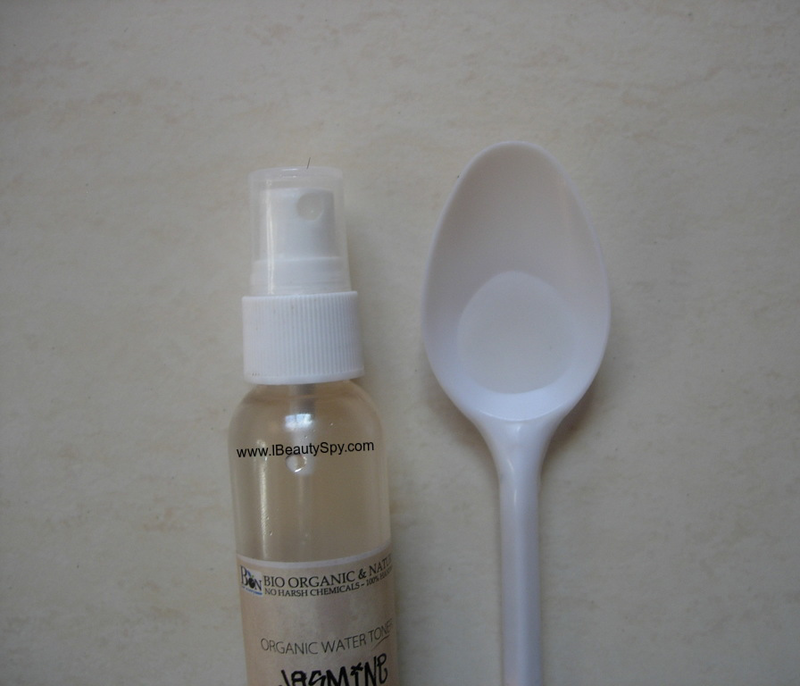 Bon Organics Jasmine Water can also be used for mixing in face packs and hair packs. And the price is pretty affordable and pocket-friendly as well. Yes, partially. But I haven’t noticed any effect on acne or anti-aging as claimed. * 100% natural, organic and vegan. * Heavenly and rejuvenating fragrance of jasmine flowers. * Instantly refreshes and hydrates your skin. * Soothes and calms irritated, sun-burnt skin. 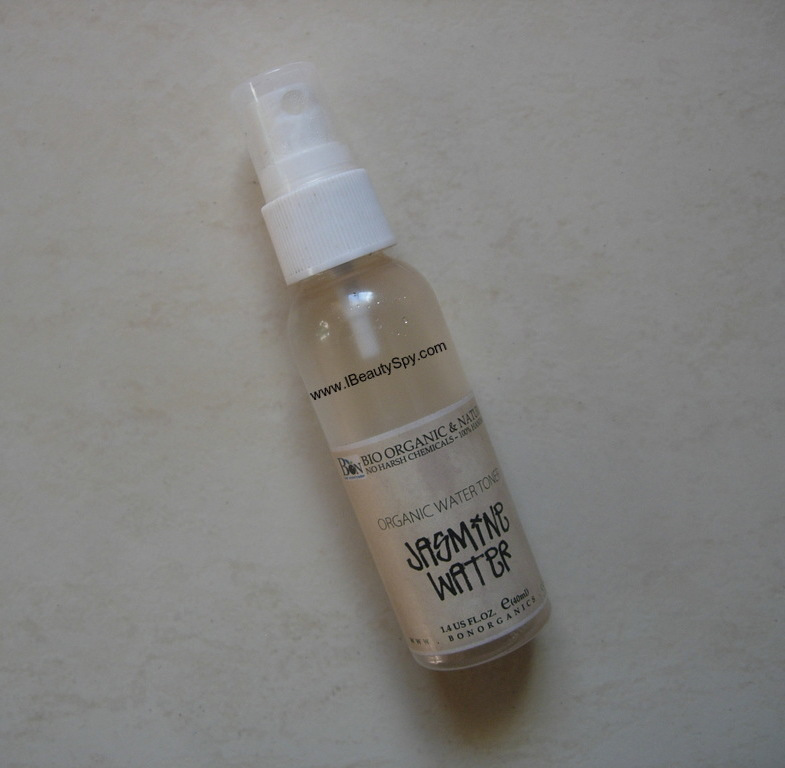 * Can be used as a cleansing water when you are on the go. * Can be used for a quick touch up in office. * Can be used for mixing in face packs and hair packs. * Compact, travel-friendly and convenient spray packaging. No. I like to experiment with facial mists and hydrosols. So would try other brands and other products. Bon Organics Jasmine Water is an affordable floral facial mist to refresh and hydrate your skin. It doesn’t give any exceptional results as such. Just that it is a multipurpose product which comes handy during traveling. Plus you can use it as base for mixing face packs and hair packs instead of regular water. I like the fact that it is made from organic, natural, vegan ingredients. Given the price point, I would say it is worth a try. Also Bon Organics run 30%-40% discount sales often. So if you pick it up then, it is going to be even more cheaper. I too love Hydrosols and loved that Bon Organics has not just stuck to pure hydrosol and claming to be a tonic like something. Given the price, it can easily be given a chance. Nicely reviewed dear. Wow this sounds really good and is super affordable also when compared to Kama Ayurveda. I have tried kama mogra water. I guess gotta try this too.